Any active armed forces member whose driver's license expires while they are out of the state on active duty will have 60 days to renew their driver's license from the time the service member is honorably separated from service or returns to the state. The license must be valid and in good standing (not suspended, canceled or revoked). You must be honorably discharged and be able to present your separation or discharge papers when you go to renew your license. And should your license expire you will be charged at $25 late fee. The Connecticut Department of Motor Vehicles has begun a new program that allows military personal renewing their license to verify their identity through the new program called SelectCT ID Program. This program was created offer verified identity protection to people renewing driver licenses and DMV-issued identification cards. Driving using the SelectCT ID Program will get a gold star on the license or ID card. If you chose to decline verifying your identity through the program, your license will be stamped with "Not for Federal Identification." The difference could be extra screening under a proposed federal program. To renew your license through the Select Ct ID Program, you must visit any CT DMV or AAA Office. PLEASE NOTE: AAA offices charge a $8 convenience fee and does not accept debit/credit cards for DMV services. For more information, please visit the Connecticut Department of Motor Vehicles Frequently Asked Questions . If you home of record is Connecticut, the CT DMV will allow drivers in the U.S. Armed Forces to renew their licenses by mail for free. Sign the renewal form that you'll receive in the mail. If you did not receive a renewal form, please call the Connecticut Department of Motor Vehicles at (860) 263-5148. Include a note with your Connecticut address and your out-of-state address written or typed on it. Complete an Application for Waiver of Operator License Fee Because of Active Service in U.S. Armed Forces (Form B-88). a Voluntary Surrender or Downgrade of Operators License (Form P-147). You MUST provide an out of state/country address, if not your application cannot be processed by mail and you must appear at your local branch office. Your Connecticut license/identification will be sent to the out of state/country address provided via regular mail unless a prepaid overnight mailer is included with your request. First, download and complete the Application for Registration and Certificate of Title (Form H-13B). A current Connecticut insurance ID card in the name of the registered owner(s) of the vehicle. The original Manufacturer's Statement of Origin signed by the seller. A federal odometer statement which is supplied by your dealership. A bill of sale form or invoice from the seller. $25 for title fee and $10 for each lienholder listed―must be cash, check, or money order. An administrative fee of $40 for any vehicle 4 years old or older which is emissions exempt. An approved ID―photocopies are acceptable. (If the identification of the military member is not available due to deployment, please bring a copy of the change of duty station orders along with a power of attorney for the person signing the Application for Registration and Certificate of Title (Form H-13B). Download and complete the Application for Registration and Certificate of Title (Form H-13B). A federal odometer statement, if the vehicle was purchased from a dealer. A bill of sale form. An Application for Waiver of Registration Fee Active Service in U.S. Armed Forces (Form B-276). The previous out-of state title, assigned to you. An administrative fee of $40 for any vehicle 4 years old or newer and are emissions exempt. An approved ID―photocopies are acceptable. Completed Application for Registration and Certificate of Title (Form H-13B). Download the form, fill out online, and print out. The previous Connecticut title, assigned to you. Any military personnel attempting to register a vehicle or renew a vehicle registration can apply to have all fees waived by completing an Application for Waiver of Registration Fee Active Service in U.S. Armed Forces (Form B-276). registrant has had their registration privilege suspended. the vehicle is not emissions compliant. If you did not receive an invitation to renew in the mail, please contact the DMV with your name, current mailing address, marker plate number and vehicle identification number. Also, let us know if there has been a change in your address. Members of the U.S. Armed Forces who are legal Connecticut residents need to pay the full 6.35% (7.75% for vehicles over $50,000) sales and use tax when the car is registered with the state. Members of the U.S. Armed Forces who are not Connecticut residents, but who are serving in Connecticut on active duty, are eligible for a reduced sales tax of 4.5% on a new vehicle. These sales tax laws also apply to military spouses. To obtain the reduced tax rate the military member must complete the Department of Revenue Services (DRS) Reduced Sales/Use Tax Rate MV Purchased by Nonresident Military Personnel/Spouses Form CERT-135 and submit to the Connecticut licensed dealer with other required documents that are mentioned on the form. 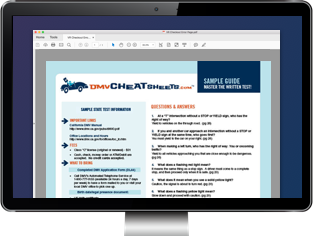 Military members who purchase a vehicle from an out-of-state dealer must submit the completed CERT-135 form and other required documents to the DMV at the time of registration. If you're a nonresident currently in CT for military purposes, use this form to request reduced sales and use taxes on a vehicle you purchase during your time in Connecticut. Notify the Department of Motor Vehicles that you want to voluntarily surrender or downgrade your Connecticut driver's license or learner's permit.